Summary: Researchers present a new theory about dreaming, suggesting dreams may be an accidental byproduct of our waking cognitive abilities. Dream expert G. William Domhoff, a distinguished professor emeritus and a research professor of psychology at UC Santa Cruz, has spent decades chasing the riddle of dreams and their meaning. Now, with the publication of his new book The Emergence of Dreaming: Mind-Wandering, Embodied Simulation, and the Default Network (Oxford University Press), Domhoff presents an integrated neurocognitive theory of dreams that is grounded in the similarities between dreaming and drifting waking thought. After more than 50 years of close, empirical study of dreams and dream research, Domhoff, 81, concludes that dreaming likely serves no adaptive function in an evolutionary sense. Domhoff’s theory addresses many of the persistent mysteries of dreaming, including the preponderance of deeply personal subject matter in dreams, as well as developmental aspects of dreaming, and it provides the neurocognitive link between dreaming and “mind wandering,” or daydreaming. Dreams originate in the same parts of the brain now known to be most active during mind wandering, according to Domhoff. 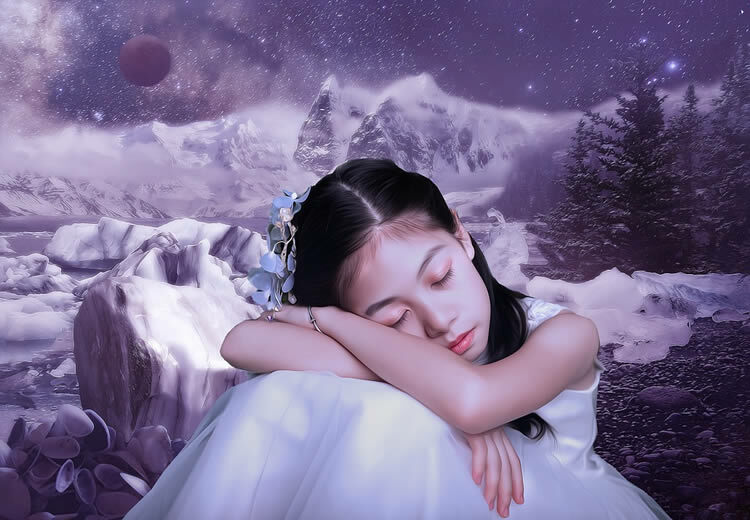 Called the “default network,” these areas become more dense and integrated between the ages of 8-15, when dreaming also becomes more frequent and dreams become more complex. The transition to dreaming occurs in stages as we stop paying attention to the external world, according to Domhoff, whose theory integrates insights from neuroimaging studies of brain activity and the discovery of the “mind-wandering” network. First, the externally focused “central executive network” of the brain deactivates. Second, the attentional networks tamp down, including the vigilant salience network that is always poised to send “red alerts.” Finally, as sensory networks screen out stimulation, imagery networks become stronger, and the mind begins to wander intensely. Humans spend 20 to 30 percent of their waking hours in this mind-drifting state, said Domhoff. Neurophysiologically, it’s the same process that occurs during sleep, when sleep-inducing neurochemicals provide an additional boost. Awake or asleep, as the default network ascends, the power of the brain’s imagery network transitions us from mind wandering to what researchers call “embodied simulation,” during which vivid imagery can make dreamers feel a part of the action. During sleep, brain activation fluctuates up and down throughout the night. Arousal increases as morning approaches, and so does mind wandering or dreaming, according to numerous laboratory studies. Dreams are highly personal because the default network includes a big part of the “self network,” added Domhoff. The frequency of a given topic reflects the intensity of that concern in the dreamer’s life, said Domhoff. Dreams originate in the same parts of the brain now known to be most active during mind wandering, according to Domhoff. Called the “default network,” these areas become more dense and integrated between the ages of 8-15, when dreaming also becomes more frequent and dreams become more complex. NeuroscienceNews.com image is in the public domain. Domhoff began studying dreams as a graduate student with his mentor Calvin Hall, a pioneering dream researcher. For many years, he conducted quantitative studies of dream content. “Gradually, my motivation changed from wanting to understand people through dreams to wanting to develop a really good theory of dreams,” said Domhoff, who took advantage of a university early-retirement incentive program in 1994. Stepping away from the day-to-day obligations of teaching and campus service at the age of 57 freed him to focus his full attention to dreams. “These have been the greatest intellectual years of my life,” he said. UC Santa Cruz “New Neurocognitive Theory of Dreaming Links Dreams to Mind Wandering.” NeuroscienceNews. NeuroscienceNews, 11 October 2017. UC Santa Cruz “New Neurocognitive Theory of Dreaming Links Dreams to Mind Wandering.” http://neurosciencenews.com/neurocognition-dream-mind-wandering-7721/ (accessed October 11, 2017).